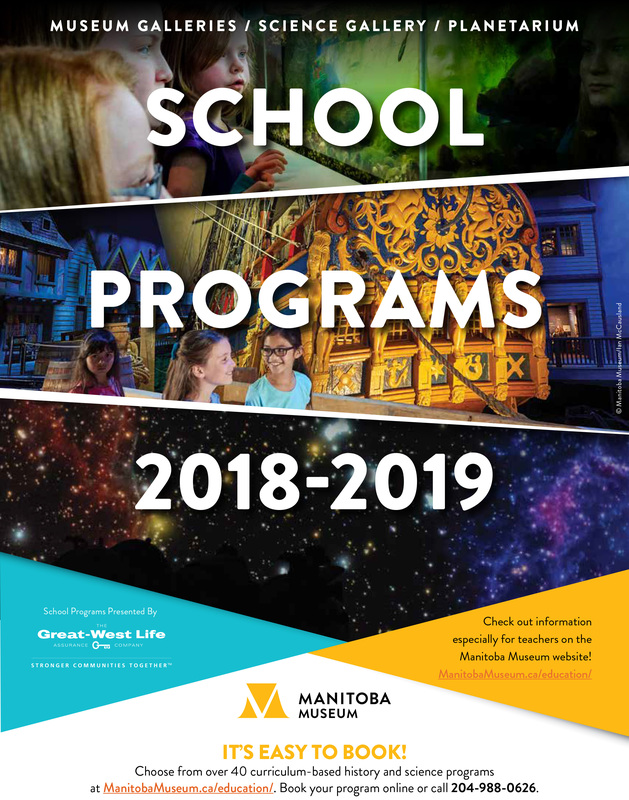 The Museum Galleries, Planetarium and Science Gallery are open from 10:00 am to 4:00 pm, Tuesday to Friday from September, to June for self-guiding school groups. 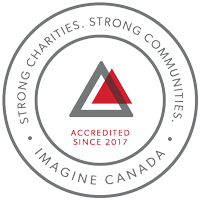 We will be open the following Mondays in the spring of 2018: May 28, June 4, June 11, June 18 and June 25. Guided school programs in the Science Gallery and Museum Galleries can be booked for any time between 9:45 am and 2:30 pm, Tuesday to Friday. Planetarium shows can be booked for 10:00 am, 11:15 am and 1:00 pm. Earlier or later starts can be accommodated for most programs. Please call 204-988-0626 or fill out our online booking request form to enquire about availalbilityfor availability. We offer 1 free supervisor for every 6 students. Please mention special needs or one-on-one attendants when booking and they will be admitted free of charge as well. 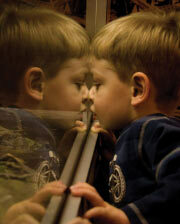 Self-Guided Museum Visit $4.00 per student, unlimited time. 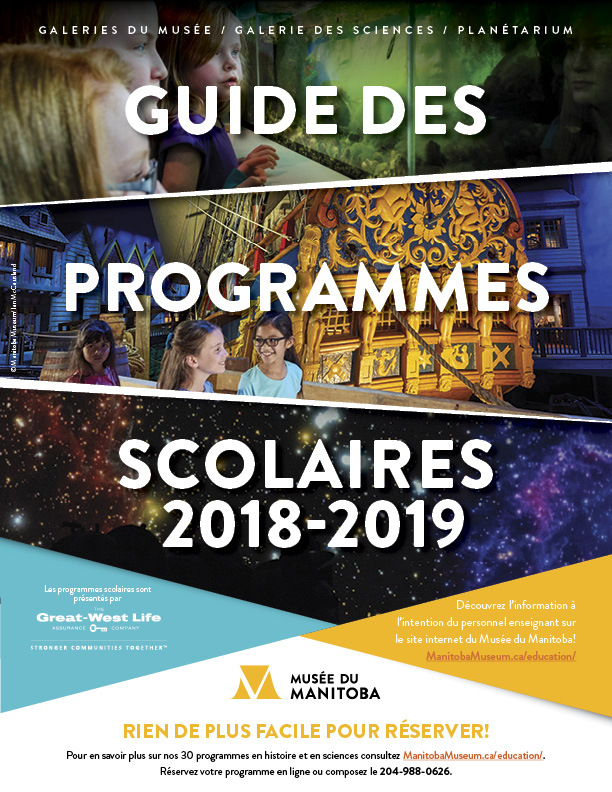 Guided Museum Programs (60 minutes) $4.50 per student, includes self-guiding in the Museum Galleries before or after your program. Museum Workshops (90 minutes ) $5.25 per student, includes self-guiding in the Museum Galleries before or after your program. Science Gallery Demo (90 minutes) $4.50 per student, 30 minute program with 60 minutes explore time. Lunchroom space is available on request.